This is a delicious and tasty snack that takes you only 10 min to make. I already had a salted salmon I made at home. So, I chopped it into pieces. I boiled eggs, peeled them and cut into halves. Then I removed the yolks. I mixed the yolks with chopped salmon and homemade mayonnaise. The stuffing is ready. I stuffed the eggs and served them on green ramson leaves. 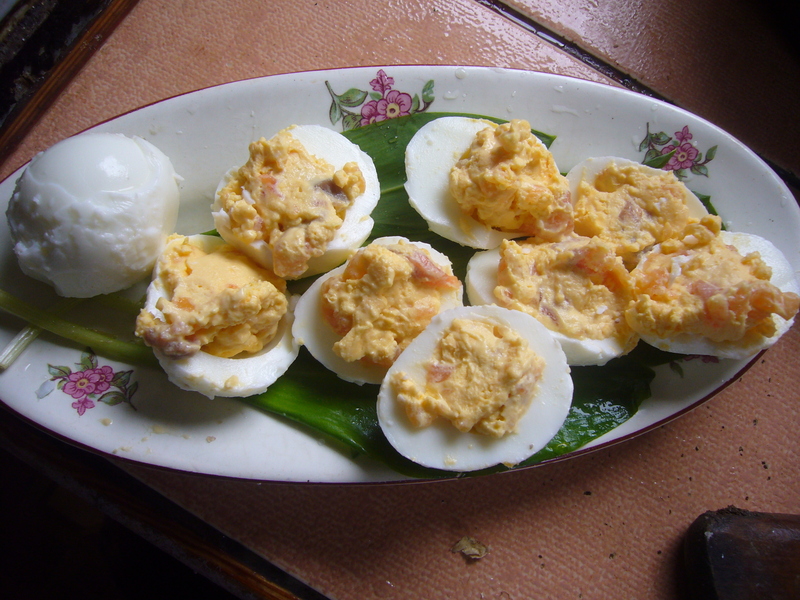 That’s my easy eggs stuffed with salmon recipe. This entry was posted in Easy Recipes and tagged cooking, cooking tips, easy cooking, easy recipe, eggs, eggs stuffed with salmon, food, quick snack for kids, salmon, stuffed eggs. Bookmark the permalink.